The wonders of the Serengeti National Park and the Ngorongoro crater can never be exhausted. Seeing the big 5 in Serengeti and a variety of other wildlife and then moving on the world famous Ngorongoro Crater are experiences that shouldn’t be rushed. The four day safari tour is one of the smaller packages that could get you to see as much of these two game reserves as possible in less than a week. You can do this safari as a group, join a group tour on the same itinerary or enjoy a private tour. We offer both group tours and private tours. Day one Arusha to Serengeti National Park. The safari starts in Arusha. 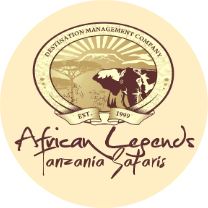 From Arusha you will be driven in a custom safari vehicle to Serengeti national park. You will stop for lunch at the Naabi hill gate, after which you will continue to the park for a game drive. 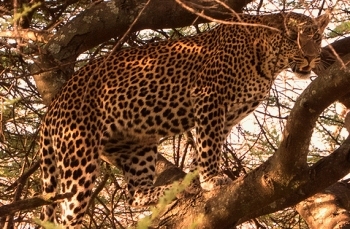 Serengeti is timing with wildlife; lions, leopards, buffaloes zebras and so much more. You will see some of these animals on the afternoon game drive. You’re your camera and binoculars very close. You do not want to miss out on any amazing moments. As the afternoon draws to a close you will be taken to your place of accommodation for the night. You do need to be rested and refreshed for day two. You will have dinner at the lodge and turn in for the night. Serengeti lodge is a good choice of accommodation. Day two is a full day of exploring the Serengeti National Park. The day starts with an early breakfast and then it’s off to exploring the wonders of the Serengeti national park. Carry a parked lunch that you can enjoy in the park. A full day in the Serengeti means you will see a wide variety of wild life including gold-manned lions, and some lesser known predators such as the serval cat and the insectivorous aardwolf among others. The big five of course can be seen in the park as well. A Serengeti safari is not complete if you do not see lions, leopards, elephants, buffaloes and hippos. You will also get to explore the landscape and the flora. See some exotic plants, learn about the different vegetation belts, tree, and shrubs from your guides and do some bird watching as well. Afterwards it’s back to the lodge for the night and then on to Ngorongoro the next day. Day 3 is the last morning in Serengeti national park on this trip. The day starts early with breakfast and then some fun safari activities in the Serengeti. There is no better way to start off your day than with a sunrise game drive or balloon safari in this magnificent park. You choose which one you would like to do, both are unforgettable experiences. After the excitement of the morning, you will have lunch at the lodge and then head out to Ngorongoro crater where you will have you dinner at the Ngorongoro lodge, and settle in for the night. The morning of day 4, you will have a sumptuous early breakfast at the lodge before you go of on your tour of the world famous Ngorongoro crater. On the game drive, you will descend into the crater and enjoy the view of the animals in the crater. The crater game drive is full of amazing sights and sounds that you might want to capture on camera. Enjoy your packed lunch at the picnic site in the crater, and then ascend and head back to Arusha, and home. The safari ends back in Arusha.